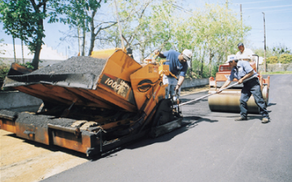 Whether your project calls for repair of existing asphalt, asphalt overlays, or total reconstruction, Advanced Paving Company will form a scope of work that best serves your needs. We use the highest quality materials, equipment, and techniques available so you may be assured that your end product will be exceptional. We utilize the very latest in concrete technology and equipment. With our specialized excavation machinery, we are able to obtain the fastest production rates in the industry. We own and operate our own fleet of concrete mixer trucks, so that you are never put behind schedule waiting for concrete to be delivered. Our state-of-the-art asphalt recycling process is longer lasting and less expensive than traditional repair methods. The process is fast, efficient, and allows for parking areas to be opened up very quickly. Advanced Paving Company owns and operates a complete line of the most efficient recycling equipment available. When your project calls for lasting quality, excellent workmanship, and professional service, look to Advanced Paving Company, the professionals in paving construction and repairs. Your satisfaction is guaranteed. Whether you need asphalt or concrete repair, help with potholes, or total parking lot reconstruction, call us today. We offer the highest quality service at the lowest possible prices. Discover why Advanced Paving Company is a leader in the parking lot repair industry. 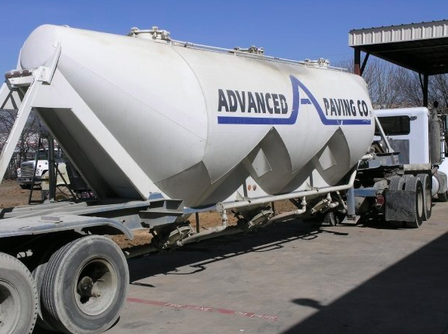 ​Our goal at Advanced Paving Company is to provide lasting quality, a superior value, and professional service while building long-term relationships with our customers. Not only are our owners and employees experienced in all degrees of pavement construction, but the company is operated with the highest degree of ethical standards ensuring you the finest quality of work at a price that is competitive. 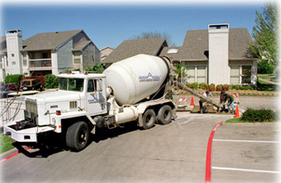 ​We invite you to check our references and see for yourself why Advanced Paving Company's reputation as a leader in the paving industry here in Dallas-Fort Worth is superior. Advanced Paving Company of Dallas recognizes the inconveniences of pavement construction to your business; therefore, we allocate the proper amount of highly trained manpower to finish your project as quickly and efficiently as possible with minimum disruption to your tenants. ​​In addition, Advanced Paving Company is fully insured and bonded for your protection. Our coverage area includes the greater DFW metroplex with a concentration on cities like Plano, Frisco, McKinney, Irving, Arlington, HEB, Denton and more.